Worldwide Express LTL Freight Shipping module adds the ability to integrate your Worldwide Express account and get freight shipping quotes directly from their SpeedShip service. 4/6/2014 • v1.1.6 Fixed a bug in parsing some WWEX responses which do not return an array. 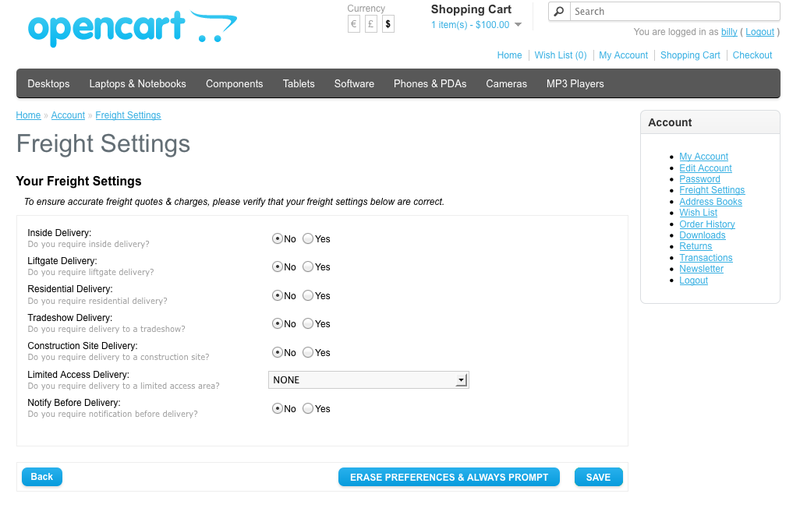 Fixed a bug where freight settings could be missing when "Estimate Shipping & Taxes" is clicked. 1/20/2014 • v1.1.4 Items with a weight of 0 will be omitted from quote request. Added the ability to specify default handling unit type, piece type, and freight class for all products where specified in the product settings. 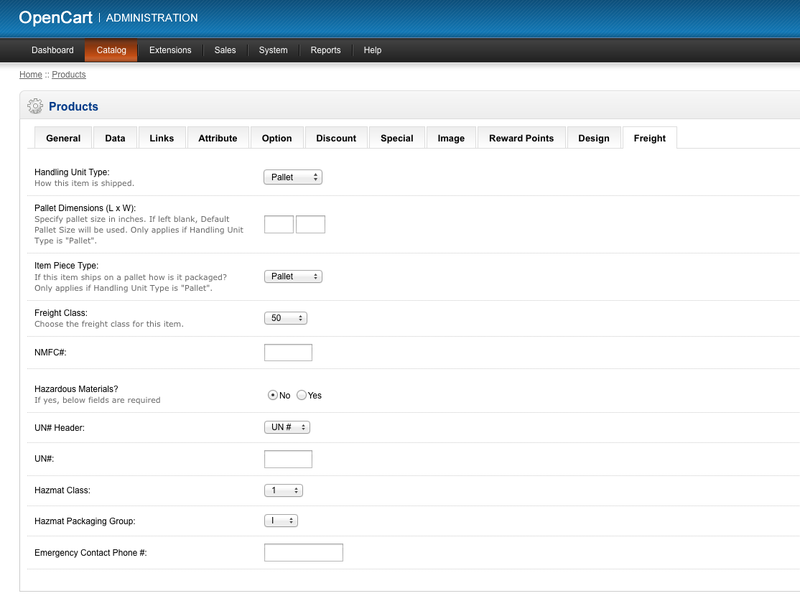 1/3/2014 • v1.1.3 Added ability to store, View and Edit freight settings per order under Admin > Sales > Orders. 12/9/2013 • v1.1.2 Added pallet weight and calculations. An extra line item will be added for each pallet in a shipment called "Pallet weight".